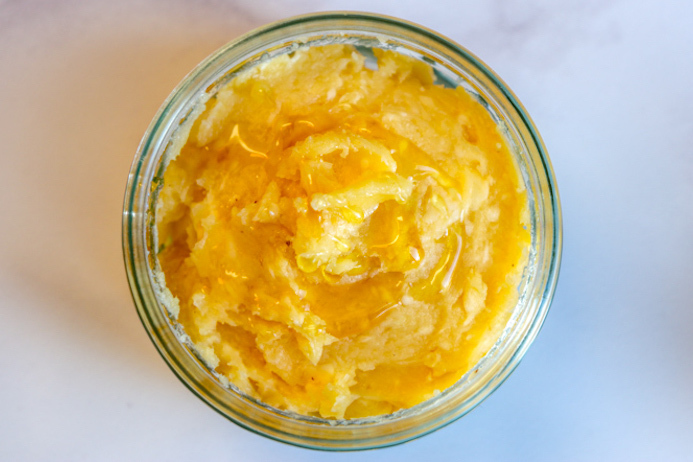 Homemade whipped honey butter recipe. Homemade honey butter is big in America, where it is known as ‘Liquid Gold‘ but it’s not so well-known this side of the pond. But it should be. Honey butter is one of the best accompaniments of all time. This sweet and creamy butter spiked with honey and a pinch of salt is unbelievable on just about anything. 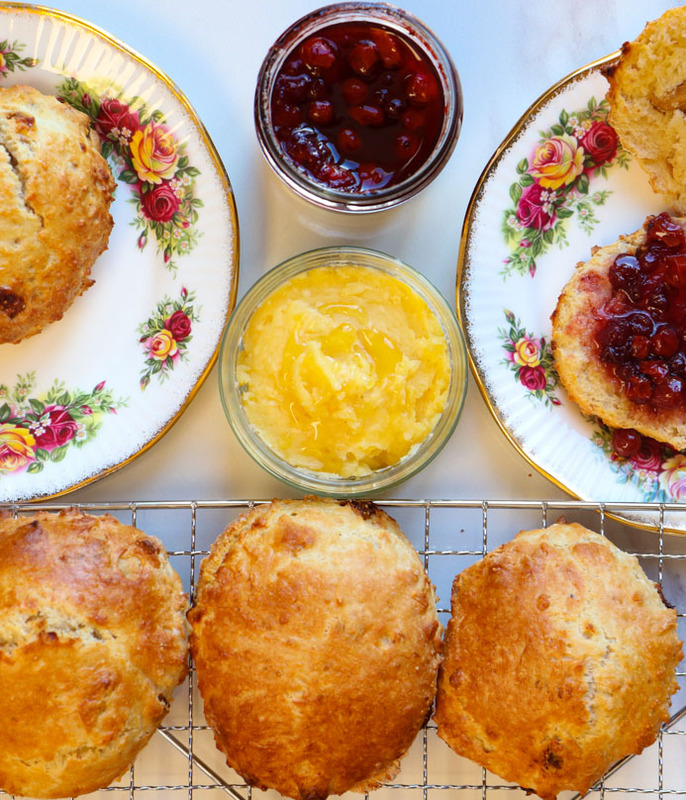 I put lashings and lashings of it on warm scones (here’s my scones recipe) and croissants. In fact, it elevates almost all pastries and baked goods. Try it smothered on a toasted bagel or crumpets or on pancakes (here’s my fluffy American pancake recipe) and waffles. It is delicious when you smear it on banana bread, cinnamon raisin bread, or fruit loaf and bram brack. It’s wonderful on carrots and sweetcorn and sweet potatoes too. Honestly, make it once, and you’ll be hooked. It is addictive. you have been warned. If you are using salted butter you can leave out the sea salt or at least make the honey butter and then taste it to see if you would like to add more salt. If you are using unsalted butter, start with a small amount of sea salt or fleur de sel and add more until you get the taste that you like. You can leave out the salt, but the salt really does bring out the sweetness of the honey and adds a fantastic salty contrast to the sweetness. You can also add some ground cinnamon or vanilla paste to the butter for an added explosion of taste. Put all the ingredients in a bowl and whip together using a hand whisk, electric beater, stand mixer or, for a workout, a wooden spoon. When light and fluffy it is ready to use. Transfer into an air-tight container and store in the fridge or you can freeze it. Serve the honey butter at room temperature. Before serving, I like to drizzle some more honey on the top, because I’m extra like that. 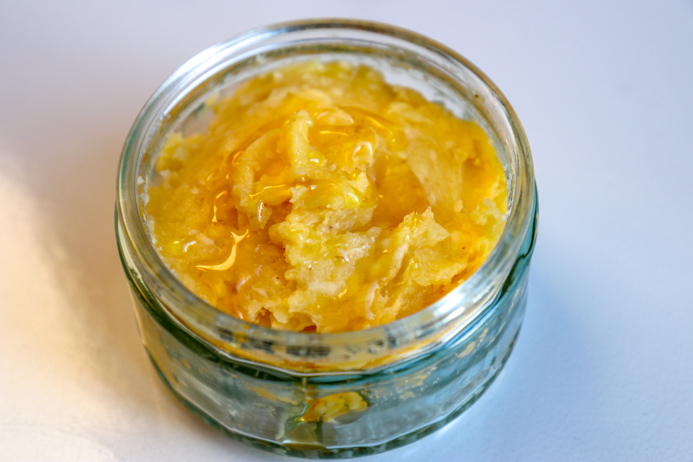 So, what do you think of my Honey Butter Recipe? Did you try it out? Did you like it? What improvements would you make? Share a photo of your own attempt at this recipe or leave any feedback and comments below, I’d love to hear from you. 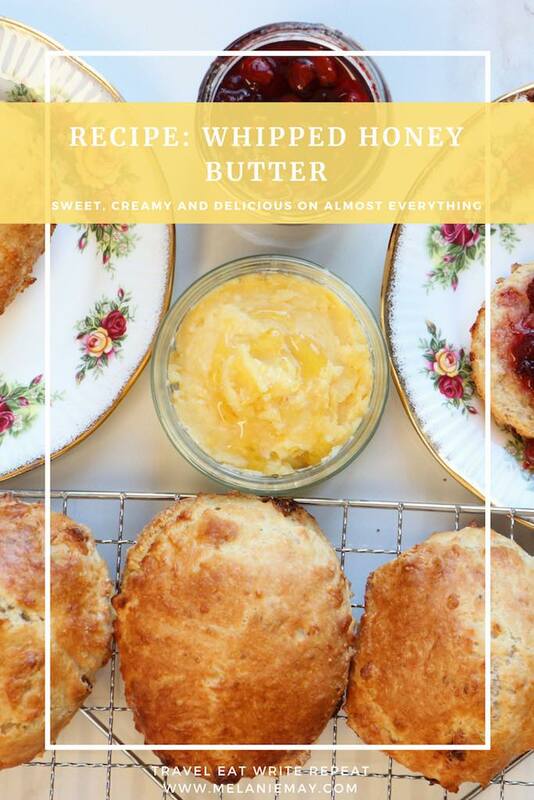 You have to bake my scones recipe to have with the honey butter. If you liked this honey butter recipe you might also like my fluffy American pancakes recipe. Or you might also like my recipe for lemon yoghurt cake, which is perfect with honey butter. You might also like my recipe for spelt and oat bread, which is delicious smeared with honey butter. If you like this honey butter recipe, please share with others.